Distance Learning MBA Hospital & Healthcare Management in India 2019: Now a days healthcare industry is growing like never before in India and thus require professionally-trained manpower to manage multi-specialty hospitals and medical facilities, That's the reason many Distance Learning Universities has started offering Distance Learning MBA In Healthcare Management in India. The Indian hospital industry has the potential to become a global hub for healthcare services. An increasing number of global players are focusing on the Indian market. The day is not far away when this sector will become the hot choice for MBA aspirants. In our today's post we'll provide you the details about Universities in India offering Distance Learning MBA Programmes in Health Care Management. Anna University is one of the most popular university of south India located in Coimbatore. The University offers MBA healthcare and hospital management (2 years, 4 semesters) programme in the online and distance education mode. The university also offers a one-year PG Diploma in Hospital Management. 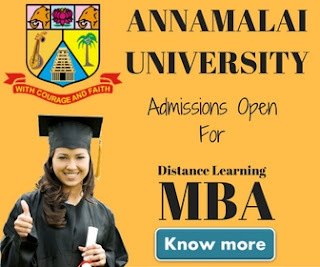 The Centre for Distance Education of Anna University, Chennai also offers MBA health services management. 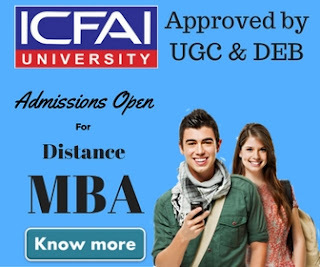 ICFAI is one of the pioneer university in India provides distance education. The university offers sectoral MBA programs in hospital administration, pharma management and telecom management. The programme is focus on management of hospitals, analysis of hospital industry and marketing of services and operations of hospital services. The total duration of the programme is 2 years & a graduation degree is required to take the admission. Visit ICFAI Sectoral MBA. Jaipur National University is #1 private university in the state of Rajasthan. The University is very popular among the students of north & central India. Jaipur National University offers various distance education courses under its School of Distance Education and Learning (SODEL). 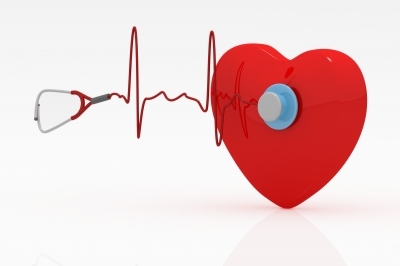 It's two years Distance Education MBA program has the specialization in Hospital Management. To know more about its MBA program visit here. One of the most prestigious university in India, SMU, also offers a distance learning MBA in Health Care Services (MBA-HCS). The programme provide theoretical and practical knowledge of Healthcare services and Hospital Organization, Operations and Planning and also provide an integrated perspective of management functioning along with a fair amount of exposure to real life cases/ technical know how in the Healthcare services sector. It's a two year MBA course and the fee for this programme is Rs.13400/semester. Visit SMU MBAHCS. Bharathiar University is a state university located in Coimbatore, India. The university offers a two year distance learning mba in hospital management. Candidates who have completed their study under 11+1+3 / 10+2+3 /10+3 (Diploma) +3 are only eligible for admission to distance learning mba in hospital management. Visit Bharathiar University. IGNOU, The largest open university in India also offers a two years distance MBA in Hospital and Healthcare Management (MBAHHM). There is no maximum or minimum age bar to join this programme. The totals fee for this programme is Rs. 275,000. This programme is in collaboration with JSS Academy, Bangalore. You may visit IGNOU MBAHHM. The Global Open University Nagaland offers a two years distance education programme, MBA (Health Care and Hospital Administration). The university offers its MBA programme with total 35 Specializations. The two years Distance Learning Master of Business Administration (MBA) Degree being conducted by The Global Open University, Nagaland has been designed for meeting the demand of the growing needs of experts in the fields of Healthcare & Hospital Administration. Visit The global university Nagaland. The 24 month distance learning mba program in Hospital Management is specially designed for professionals looking for build a career in hospital & healthcare industry. The total fee of the programme is Rs. 33,000 only. Student can do DUAL MBA (Two specialization subjects) by paying additional Rs. 10,000 extra. to know more about the programme visit IMSR.